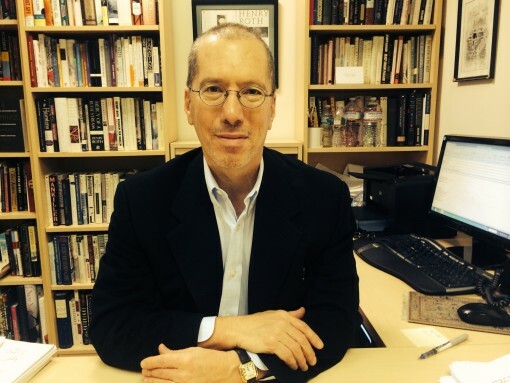 Norton executive editor Robert Weil is the recipient of the 2015 Friedrich Ulfers Prize given as part of the Festival Neue Literatur in New York City. The following are the remarks he made upon accepting the award. When Juliane Camfield, the Director of NYU’s Deutsches Haus, wrote to me on November 11, saying that “we truly hope you will accept the Friedrich Ulfers Prize to be awarded to you at the opening night ceremony” of the “Festival Neue Literatur,” I thought, seriously, that her e-mail was a mistake. First of all, book editors, who typically work behind the scenes never get awards, proof of the fact being that this is the first bona fide editor’s award I’ve gotten in my 36-year career. The other mild confusion was the futuristic tense of Ms. Camfield’s note, truly hoping that I would — as if this was not a given – accept such a prestigious award, named after its benefactor, Friedrich Ulfers, a renowned German professor and mentor, who has distinguished himself at Deutsches Haus, in the German Department of NYU, and at NYU’s College of Arts and Sciences. I wanted to call Ms. Camfield, whom I had not previously met, and tell her more colloquially, “Are you kidding? Of course, I’d be hugely honored to accept this lifetime achievement award.” But my rational side prevailed, so I merely wrote her back to make sure that the e-mail had not been sent in error. Perhaps the saddest part of accepting this award, given to someone who has “championed the advancement of German-language literature in the United States,” is the fact that neither of my German-born parents is alive to be here tonight. Neither finished high school, neither graduated from college, but my fiery, red-haired mother always had a book in her hands and would regale me with her favorite stories about her beloved Grossmutter Pauline, her maternal grandmother, who could, I was told, impressively quote Goethe and whose weather-worn, leather Rilke volumes I still possess. Of great importance to my mother, Elsbeth Landmann Weil, whom everyone called Elle, was her deep regard for history, particularly family history. While most of the family members on my mother’s side intermarried, converted to Christianity, and embroidered on a seamless Gentile past, Elsbeth, who was raised in Sweden, chose to marry a penniless Jewish German refugee, and never wavered about anything, particularly about her family’s heritage. While my mother all too often relished confrontations, provoking them, shall we say, more than once, my father proved a good and loving foil. The son of an amateur vaudevillian in the Bavarian town of Fürth, where Henry Kissinger was also born, he was a kind, genial man who loved to tell bawdy jokes and played the accordion, the piano, and his precious Hohner harmonic, all in perfect pitch. Even though Lothar was forced to flee his beloved Bavarian world in June of 1938, he never shed his love of his German homeland. For my dad, National Socialism was a horrific, twelve-year aberration. Somehow, indeed inexplicably, the calamitous historical narrative that was our twentieth century just leapfrogged ahead, obscuring those pestilent, trauma-filled years of 1933 to 1945. As a curious child, I would press my father about the 1930s, but Mom always said that he did not want to speak of these times, a hesitance, mind you, that she never shared. While he sat silent at the kitchen table or, more likely, after he had fled the kitchen to smoke a much-needed cigar, she would fill in what she knew: the story of his mother’s suicide just after Kristallnacht; his own dramatic escape on a trawler that transported him over rough Baltic waters, from Danzig to Stockholm, just before Christmas of 1938; or his father’s miraculous exodus to London in the last months leading up to the War. I cite what I call my father’s “leapfrogging,” not to revisit old family history, but to account more than anything for my interest in German books, German authors, and German literature. Like my insatiably curious mother, I have been fascinated by that which I cannot explain, so I have devoted a good part of my career to bringing some clarity, at least for me, to that 12-year-gap, that caesura, which in the end becomes a study of far more than a mere dozen years. And as a result of this historical curiosity, I have embraced, as an editor, dozens of works of history and literature, which all seem to relate, in one way or another, to Germany’s momentous history and vibrant literature and music. I recall that the first book I bought from a German publisher, this being S. Fischer Verlag, was a memoir that Barbara Perlmutter sold to me at Times Books in 1979. After a seven-year detour in magazine publishing, where it was harder for me to pursue my German-related interests, I returned to St. Martin’s Press as an editor in 1988. It was there where I began in earnest to publish German literature and books about German history. No single person mentored me more in my first two decades in publishing than a woman by the name of Joan Daves, a literary agent who had early on signed up a young Martin Luther King, Jr. and represented seven Nobel Laureates, the Civil Rights leader one of them. Born Liselotte Davidson in Berlin in 1919, Joan, who immediately Americanized her name upon arriving in the New York in 1940, was typical of an entire generation of German, largely Jewish, editors and agents, who, like my father, simply did not speak about their German pasts. Joan, who was half Jewish and whose New York office provided welcome shelter and literary sustenance to virtually every visiting German publisher and editor (Monika Schoeller and Dietrich von Holtzbrinck, for example, were among her interns!) took, for whatever reason, to this skinny college graduate. She introduced me to the works of Heinrich Böll, whose last two novels I bought from her, as well as to that great Austro-Hungarian genius Joseph Roth, whose novels and non-fiction I would sign up from Kiepenheur & Witsch, until there was simply nothing left of Roth to translate. Riky Stock, the Director of the German Book Office, to whom I am deeply grateful for her role in awarding this prize, surely remembers that brutally cold January evening in 2003 when over 300 people jammed the Goethe House offices on Fifth Avenue to celebrate the publication of Roth’s What I Saw: Reports from Berlin, 1920 – 1933. It was so mobbed – and this for hapless Joseph Roth — that she had to deploy a second room, where the event was televised live for the overflow crowd. To do complete justice to Joan Daves, who died in 1997, she told me as well about eminent writers from other countries, including that Russian literary master Isaac Babel, whose Collected Works I would sign up from Jennifer Lyons at St. Martin’s and publish at W. W. Norton & Company. Because of Norton’s independence, or owing to the fact that one of the firm’s two founders, Polly Norton, devotedly translated Rilke, the house where I have worked since 1998 has allowed me to publish a long list of books dealing with European and German culture, history and literature in particular. The mid-twentieth-century German novelist Wolfgang Koeppen may not be a household name, even to an informed audience like this one, but few German novels have influenced me so deeply as his proto-Joycean, kaleidoscopic Das Treibhaus, (The Hothouse), that searing, hi-jinks portrait of post-World War II Bonn and its sanctimonious Reichstag politicians that I published in a mesmerizingly poetic translation by Michael Hofmann. Petra Hardt, the legendary Rights Director of Suhrkamp, sold me three of Koeppen’s novels, and has more recently sold Liveright, our new division at Norton, Bertolt Brecht’s entire body of poems – nearly 2,000 – so my long tradition of working fruitfully with German’s greatest publishers – from Hanser’s Michel Krüger to Beck’s new head, Jonathan Beck, who was my intern, to Detlef Felken, Beck’s distinguished Editor-in-Chief, continues to this very day. In mentioning Michael Hofmann, who has now translated eleven books that I have edited, I must also cite an entire generation of German translators whom I have had the privilege of editing, including Shelley Frisch, Peter Constantine, David Constantine, Tom Kuhn, Breon Mitchell, and Ross Benjamin, who is newly retranslating the finally unexpurgated Kafka Diaries. I contend that translators are far more heroic than editors, and few realize what is required of a literary translation. In last week’s New Yorker, I happened to see that Elizabeth Kolbert mentioned a “dritte Generation,” a third generation of Germans, the grandchildren of an entire World War II generation, who are not only cognizant of the twentieth-century’s twelve-year caesura but seek, whether collectively or singly, no longer to leapfrog but to honor the lives of so many millions of people who were displaced or murdered in the last century. Since I am proud of my own collective German-American-Jewish heritage, and sometimes feel I cannot disentangle one strand from the other, I also welcome such efforts, like the Stolpersteine, that new public arts project in Berlin, which memorializes the fallen on the actual streets of Berlin. Perhaps having anticipated such movements by several decades, I have, with my mother somehow still whispering in my ear, devoted so much of my career to the retrieval of memory, and in doing so, have willingly embraced both Germany’s language and history. For recognizing my achievements, I am enormously grateful for the recognition that the Friedrich Ulfers Prize confers, and I deeply thank everyone who was involved in making this award possible.